40003437 Features: -Lismore collection. -Hand wash recommended. Capacity: -16.9 Fluid Ounces. 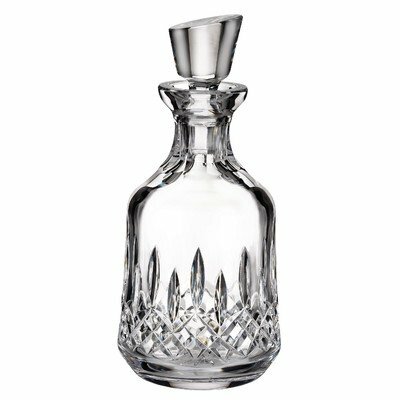 Product Type: -Decanter. Color: -Clear. Style: -Contemporary. Hand Wash Only: -Yes. Lid/Stopper Included: -Yes. Dimensions: Overall Height - Top to Bottom: -9.1". Overall Width - Side to Side: -4". Overall Depth - Front to Back: -4". Overall Product Weight: -1 lbs.